Cool, classic and comfortable - the essential Fruit of the Loom tee. A bestseller, and with good reason, the Fruit of the Loom Valueweight Tee is cut with a classic fit and crafted from lightweight cotton for ultimate comfort. 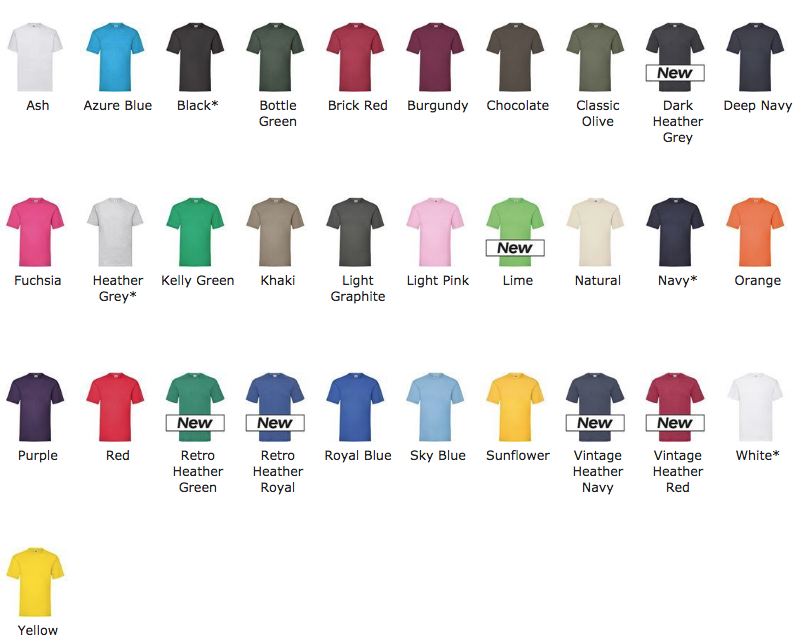 This tee is available in over 30 colours, so you're sure to find the perfect base to add your own personal touch to! Use our online designer to customise this industry classic tee.